Country living in the heart of town! 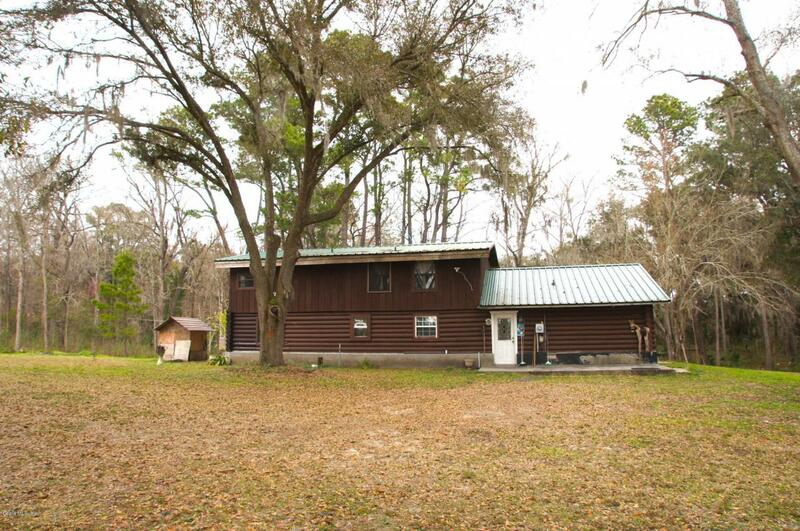 A secluded log house gem that is just minutes away from all the convenience of the city. Just off HWY 200, this property is close to hospitals, strip malls, great shops, and an array of restaurants, bars, spas, and nail salons. The home was custom built with 8 inch thick southern pine logs. Upgrades include: a new metal roof (installed 2013), a new well pump and water softener (only a year old), a newly installed shower in the guest bathroom, & a new roof extension added to cover the balcony and the back porch. The farm has 2 paddocks, a quaint barn and a chicken coop. It also has two separate storage sheds that may be used as tack and feed rooms. There are fresh springs on the property and an abundance of trees that add to the tranquility of the farm.The upstairs loft comes with a private bathroom and balcony that overlooks the springs and the paddocks. The loft can be used as a home office, master suite or as an entertaining room for your guests. The wood burning stove in the living room adds to the coziness of the house. The property requires a TLC. Listing provided courtesy of Rasha Mohammed of Burner & Associates Realty, Llc.